Beginning on December 31, 2016, Dextre will tackle his most intensive robotics operations to date. 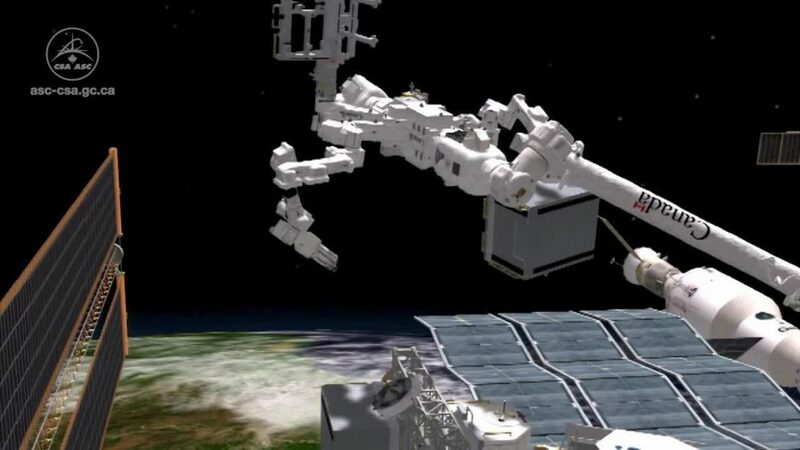 The Canadian robotic handyman will methodically remove nine old nickel-hydrogen batteries on the International Space Station (ISS), and replace them with six new, more efficient lithium-ion batteries and adapter plates. The batteries are critical to ISS operations, since they store electrical energy generated by the station’s solar arrays. Dextre’s marathon mission will last a record 16 days, continuing on until January 15, 2017. Dextre will get a helping hand from two astronaut tag teams during their spacewalks. NASA astronauts Shane Kimbrough and Peggy Whitson are scheduled for a spacewalk on January 6, 2017 while the European Space Agency’s Thomas Pesquet will perform his first spacewalk ever with Shane Kimbrough on January 13.